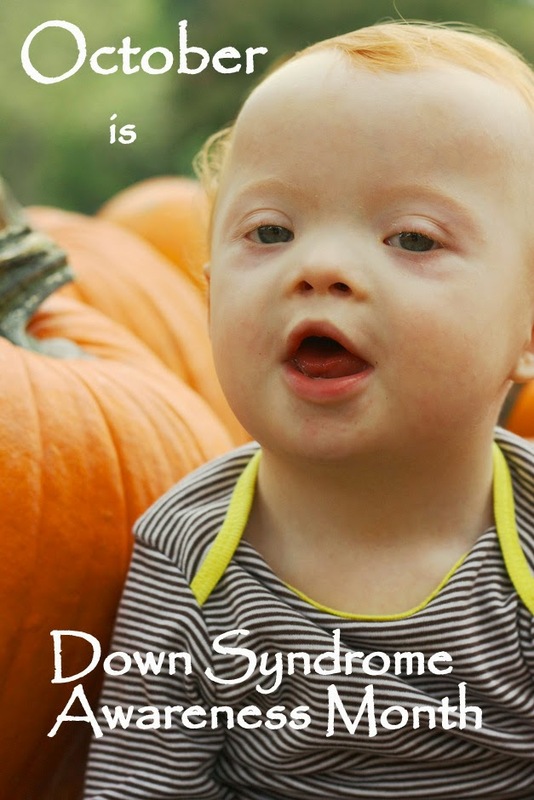 For the last full week of October, you need to make these!! I was given this recipe 5 years ago, made it once (did something wrong---don't know how) and never made them again until last week. Oooooh how we've been missing out! 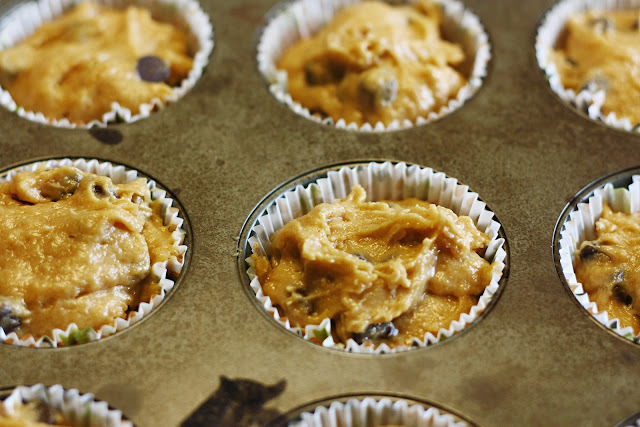 These chocolate chip pumpkin muffins are delish!!! We devoured them and Luke has been asking for more everyday. I'm making another batch today. So, so yummy! Start with the dry ingredients first. 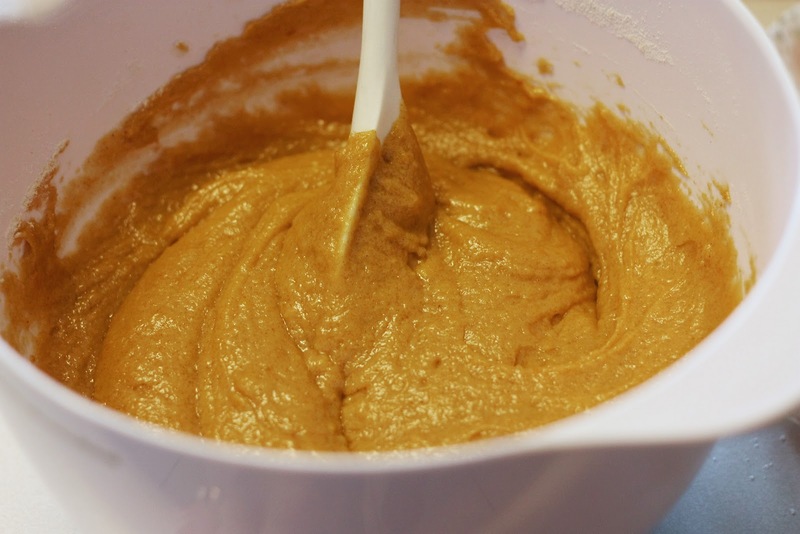 Then mix together the pumpkin, eggs and butter. Combine both bowls and add the chocolate chips. 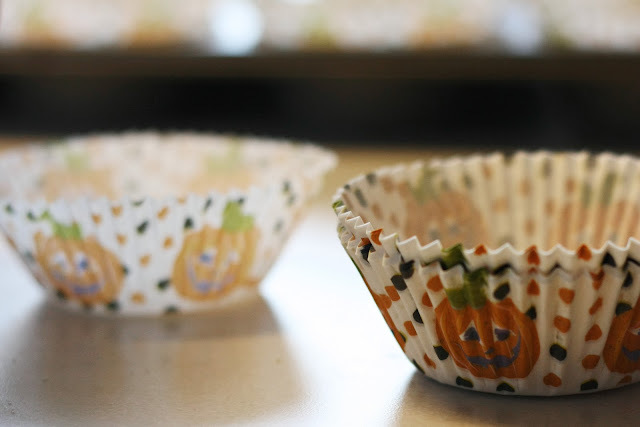 Then put some cute Halloween or pumpkin cupcake liners in your muffin tray. 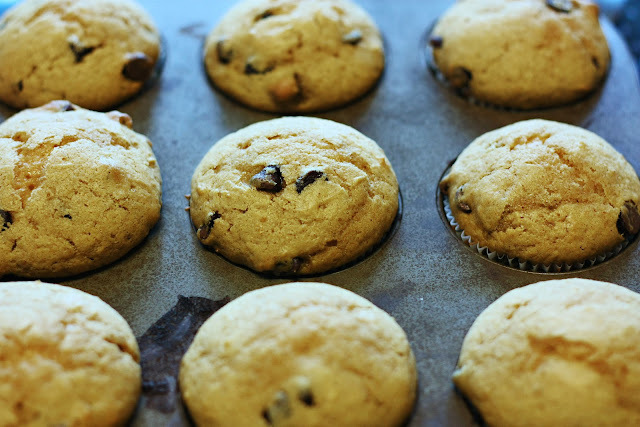 Fill the muffin cups up and bake! In about 20-25 minutes these bites of heaven are ready! Preheat oven to 350 degrees. 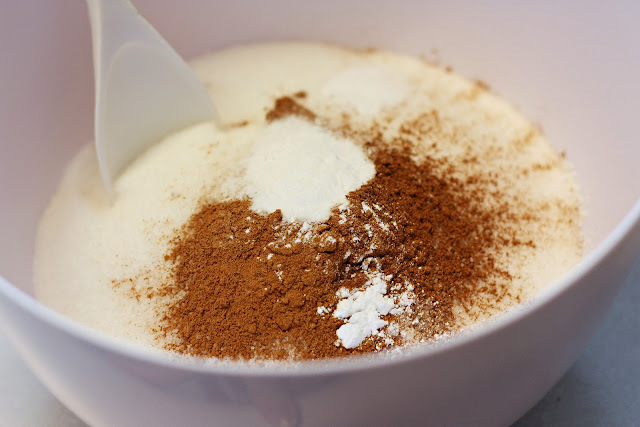 Mix flour, sugar, pumpkin pie spices, cinnamon, baking soda, and baking powder in a large bowl. In a small bowl, beat eggs, pumpkin, and butter. Add this to the large bowl of dry ingredients. Stir in chocolate chips. Spoon mixture into greased muffin pan or use paper cups. Bake at 350 for 20-25 minutes. I filled the muffin cups all the way to the top because my recipe said they don't rise much---and that left me with 11 muffins. However, they rose more than I thought, so you can fill them up almost to the top and get 12 muffins! Oh yes, I forgot to thank you for our samples - Aunt Mary and Uncle Kevin thoroughly enjoyed them! She made me a non-chocolate chip one - quite tasty!